How Far is Indira Splendor? Still living in a Home that comprises of a Hall, a couple of Bedrooms, a Kitchen, 2 Bathrooms and a Balcony? if yes, then chances are you are still stuck in the past. 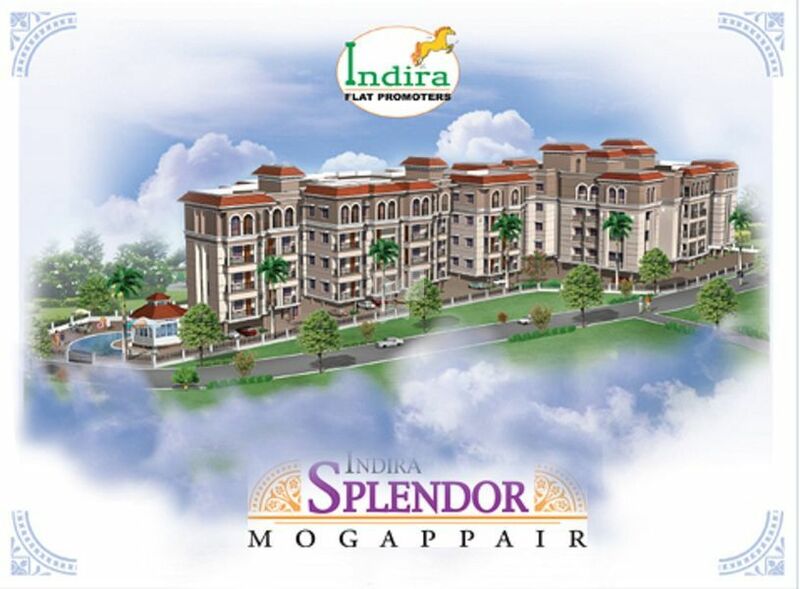 Discover the true definition of the term "Dream Home" at Indira's Splendor Nolambur. Indira Foundations latest magnum opus comes with a host of stunning facilities like a well equipped Gym, Landscaped Gardens, a Water Purification System, a Play area for kids, 24 hour Security, Power back up and much more & all this close to the heart of Chennai City. In addition, you also have a range of homes to suit your budgets, like 2 - 3 bedroom apartments, the convenience of choice - 4 blocks and 60 Apartments and 4 Floors on each Block. While you just pay for the Home, you get a host of amenities that make your Home a mini Resort at absolutely no extra cost whatsoever.